There’s plenty of fish in the sea, but it took an entire decade of searching before a frog, once believed to be the last of his kind, finally found his mate. 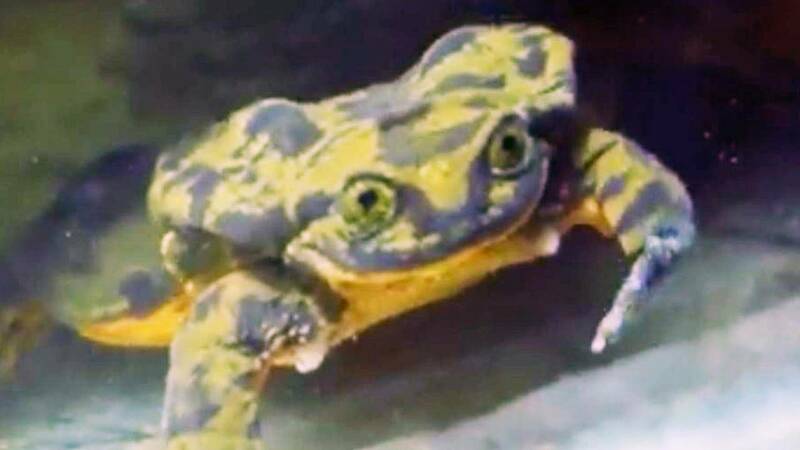 Romeo, a Sehuencas water frog, may just live happily ever after with his Juliet, a female Sehuencas water frog scientists recently discovered in a remote Bolivian cloud forest. She and four other frogs of the same species were discovered in a stream and captured by scientists aiming to breed and re-introduce the species back to the wild, BBC.com reported. Romeo and the newly discovered Sehuencas water frogs – three males and two females – will be slowly introduced over the coming weeks. Romeo has been living at the Museo de Historia Natural Alcide d'Orbigny in Cochabamba, Bolivia, for the last 10 years and was captured when scientists initially believed the breed was dying out, according to BBC.com. While in captivity, Romeo was often heard making mating calls, but scientists believed he may had been the last of his species, Smithsonian.com reported. The tiny amphibian gained international recognition after the museum created a dating profile for him on Match.com. And even though the museum’s expedition leader Teresa Camacho Badani said Juliet is “really energetic, she swims a lot and she eats a lot and sometimes she tries to escape,” Camacho said she was hopeful Romeo and Juliet can be the perfect match, she told BBC.com.